Our friends at TechEblog found an interesting way to take control of your keyboard. Someone named Alan used an iTunes visualizer plug-in to make his MacBook’s backlit keyboard flicker to the music. Here’s a video demonstration on YouTube. Sound like fun? 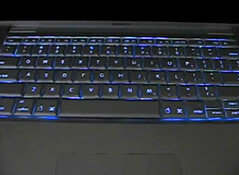 Do you want your MacBook’s keyboard to flicker like the dance floor in Staying Alive? Download the plug-in called iSpazz.